HomeFor ClientsAnalyticsForex Analysis & ForecastsForex Technical analysis and forecastsForex Technical Analysis 2011/03/09. EUR/USD,GBP/USD, USD/CHF,AUD/USD Forecast FX. Forex Technical Analysis 2011/03/09. EUR/USD,GBP/USD, USD/CHF,AUD/USD Forecast FX. The EUR/USD currency pair is still being corrected. However, while the price is in the rising channel, the forex online pair may continue to grow. At the moment the price is testing the channel’s lower border, we can expect it to hit the border and move upwards. Judging by the symmetrical price structure, we can suppose that the 5th point of reference will be formed in the area of 1.3850, which may be a starting point of the final wave of growth into the area of 1.4130. 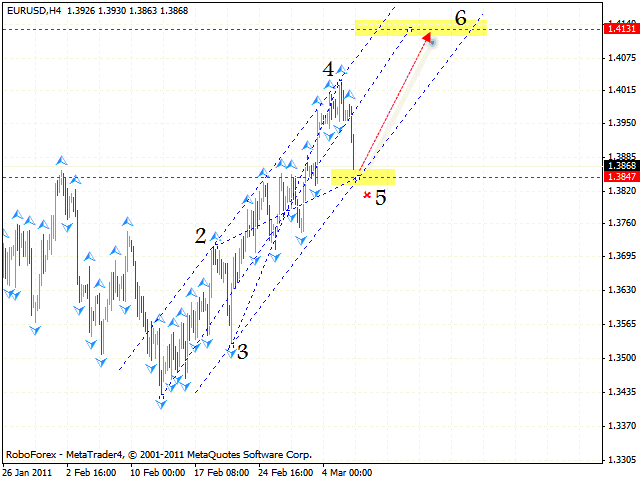 According to the eurusd analysis one can try to buy the pair with the tight stop. If the price breaks the channel’s lower border, this case scenario will be cancelled. As we can see from the gbpusd analysis pound is also being corrected, however, the structure of the rising pattern remains unchanged. The target of the growth is the area of 0.9200. At the moment the price is near the area of the 5th point of reference and one can try to buy Pound with the tight stop. One more possible scenario is the price breaking the channel’s lower border, and in this case we recommend you to close long positions. Franc is back to the “triangle’s” lower border, we should expect the pair to go down and start descending movement. 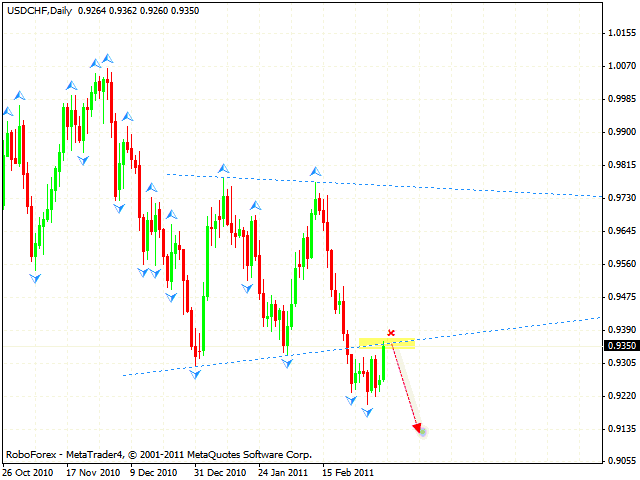 Judging by the technical analysis usd chf you can try the tight stop sales. We recommend you to increase the amount of short positions only after the price breaks local minimum at the level of 0.9200. 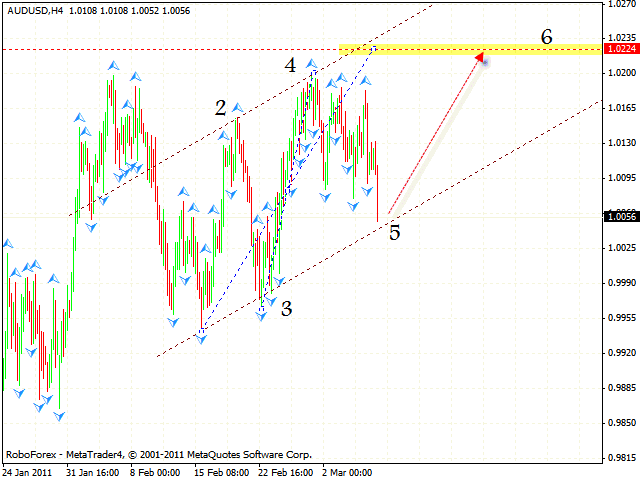 In case of AUD/USD currency pair we have rising symmetrical structure forming with the target in the area of 1.0224. As it is seen from the aud usd analysis the price is in the area of the 5th point of reference where we should expect the pair to start growing. 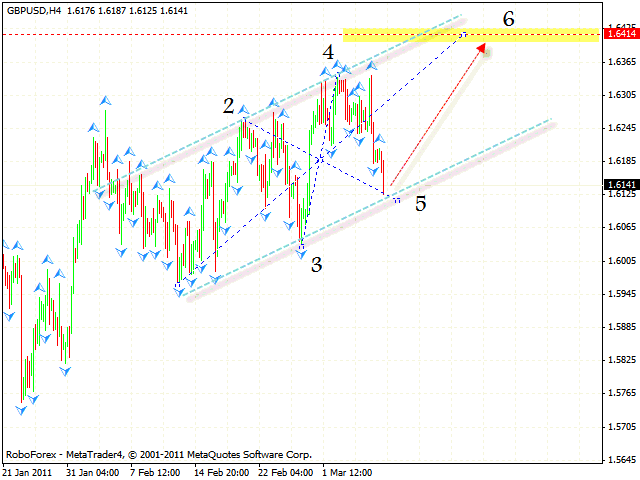 If the price leaves the channel, this case scenario will be cancelled and we recommend you to close long positions.